The 2011 Goodwood Festival of Speed was launched yesterday with Jaguar playing a key role as the event celebrates the 50th anniversary of the iconic E-type. Present at the launch were Yasmin Le Bon with her daughter and fellow model, Amber, who posed alongside arguably the most famous E-type of all – one of two cars to have made an epic, high-speed journey from Coventry to Geneva in March 1961 at the behest of Sir William Lyons. The car, a prototype Series One E-type roadster carrying the registration '77 RW', was delivered by Norman Dewis, Chief Test Driver at the time. 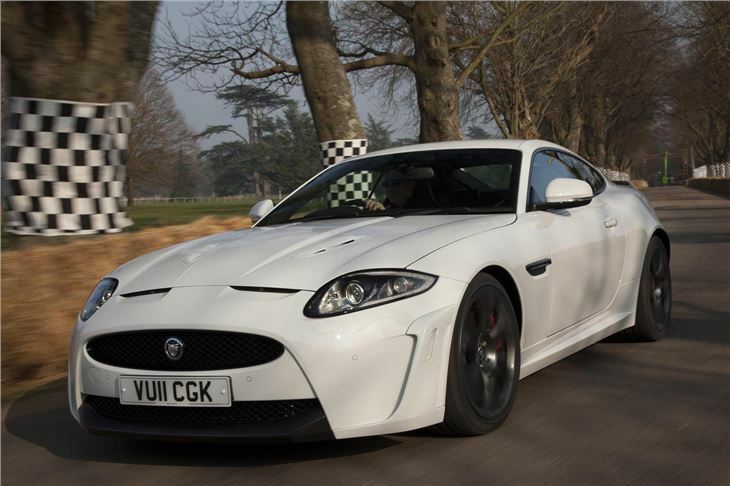 Norman's modern day successor, Mike Cross, Chief Engineer, Vehicle Integrity, at the wheel of the new Jaguar XKR-S, marked the event in style with a series of dramatic demonstration runs up the notorious Goodwood hill. Joining Mike in taking on the hill was ex-Le Mans and BTCC racer Anthony Reid driving an XFR – his enthusiastic driving style won him the TAG Heuer 'Most Spirited Getaway' award. The 2011 Goodwood Festival of Speed will see Jaguar take centre stage with a dramatic sculpture being commissioned for the lawn in front of Goodwood House. Enthusiasts will be able to view an array of Jaguars from the past, present and a little way into the future with the XK120, and examples of the C-, D- and, of course, E-type taking part in demonstration runs in front of the crowds. The Festival will start on Thursday 30 June with the Moving Motor Show – a chance for visitors to experience the latest Jaguar road cars and even get behind and take on the Goodwood hill.